How to crop MP4 video? Why we need to crop MP4 files? MP4, also called Mpeg-4, is video format developed for high quality streaming media. Because of its good image quality and compatibility, most mobile phones and social networks support MP4, and that’s make it an important video format. We often encounter this format in video editing work. However it also has drawbacks, such as with same resolution, MP4 is bigger than other video formats. And that’s why we need to crop MP4 to get the screen areas we want and reduce the file size, to transfer and share the videos more easily. ”I captured videos by my Samsung phone, and I wanna crop them on PC and transfer them to my MP4, what shall I do?” It is a common question. Actually most of us have such problems, and we need a smart tool to help us. 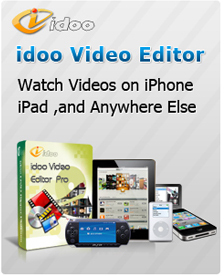 idoo Video Ediotr is just a great MP4 video cropper. It supports almost all types of videos and audios, and we can edit various media files for different devices. With the integrated function of cropper and format conversion, you can not only crop videos, but also convert them into MP4 files in one step. 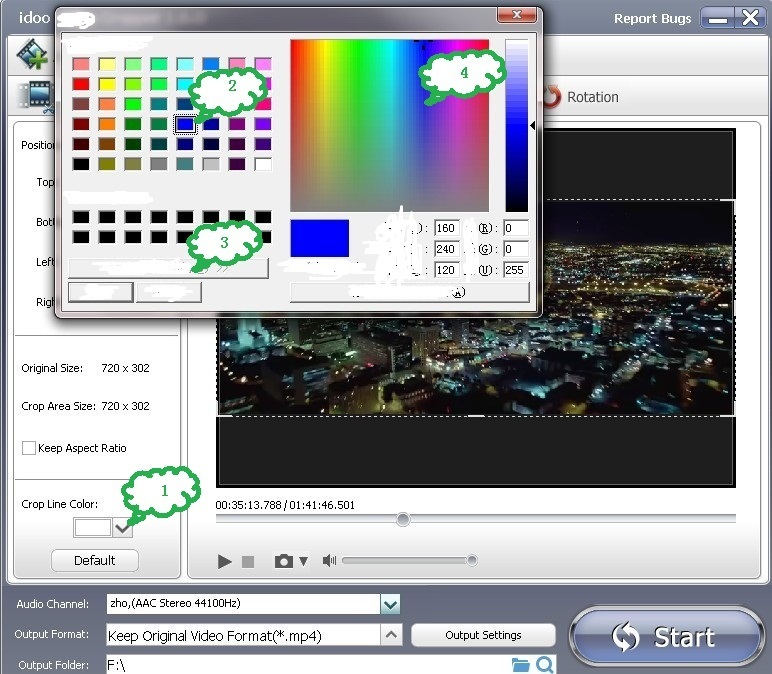 The following part will show you how to set the color of crop line, and convert the cropped videos into MP4. A. Click the drag-down list of “Crop Line Color” (Tag1) to open a dialog box. B. You may select the color by just clicking it (Tag2). If you want to define your own color, you may click Tag3 and select from the right box (Tag4) and get more advanced setting below. Then confirm to finish color setting.